D&D Technologies, that fabulous Australian manufacturer and world leader in gate hardware proudly release this new addition to their innovative line of gate an fence hardware. The Magnalatch ALERT is an updated version that includes an audible alarm designed to signal attempted gate openings, further enhancing swimming pool safety, protecting our children from drownings. The video installation above, explains in graphic detail the ease of installation of this innovative product. 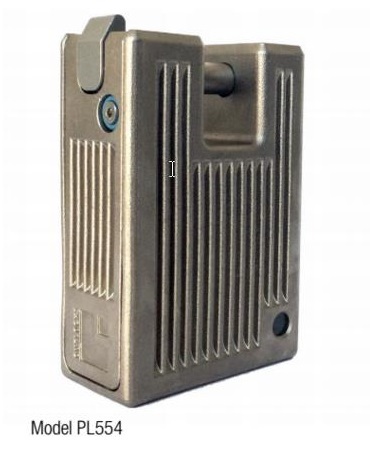 The product still uses a keyed cylinder (standard KW1 keyway) to lock and unlock the product. It also uses concealed fixing plates to prevent tampering with the fittings. The magnetic latching system assures correct latching every time. Flashing LED lights give visual notification if the latch is opened and/or the gate is left unlatched. opened or left unlatched. After 15 seconds, an opened gate beep warning will turn to a full alarm. The touch-sensor disarm feature allows you to temporarily disarm the ALERT for up to 15 minutes. DO NOT use the disarm feature on pool or safety gates. With its new design, the lift knob is now more conveniently shaped and child resistant than ever. Shows you at-a-glance whether MagnaLatch is locked or unlocked. Simple peace of mind. 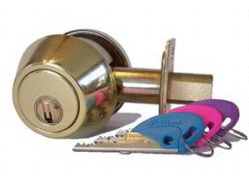 The 6-pin lock can be rekeyed to match other locks around the property making safety more convenient. Both latch body and striker offer superior fixing strength and unsurpassed quality. No more need for separate post cap spacers. The innovative vertical and horizontal adjustment makes MagnaLatch even simpler to install and adjust for ground shift or gate sag. Now you know when your gate is in proper alignment and makes adjusting for gate saf even easier. Sloping feature channels water out. Industry's greatest gate/post movement tolerance. Shroud over key helps prevent water entry into the lock cylinder. Helps prevent freezing to top housing. The Bilock Single Cylinder Deadbolt we are offering here is a Grade 2 (ANSI) deadbolt with 3 keys. Available in Polished Brass, Florentine Bronze, Antique Brass and Satin Nickel (Stainless Steel). We proudly supply the first 3 keys FREE with any new system. This popular product is sought after by many discerning customers desiring to prevent hobby pickers or even professional locksmiths from non-destructive entry. We can provide the keyheads in varying colors. There are 20 colors to choose from. There are 3 parts to the keyhead which means, potentially 8000 different color combinations. We have built systems for customers that allow for each different key holder to use a different key. That means, if a key is lost or stolen, just that key can be removed from the system without affecting the other key holders. You could rekey the locks without the need to hand out new keys to all key holders, saving time, money and the inconvenience. 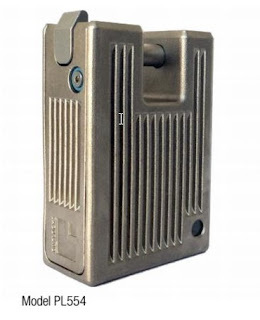 A similar function to a swipe card access control system but totally mechanical and non electronic. To purchase this product, click the source below. This is the Knock-N-Lock PL554 padlock. 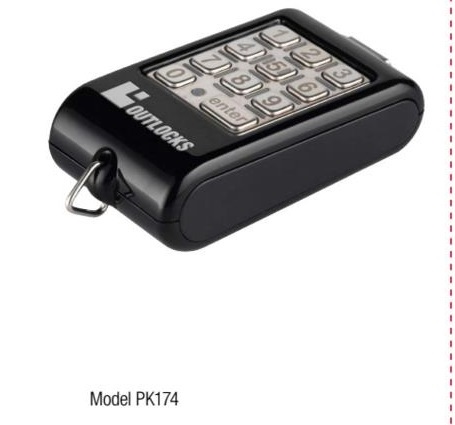 This super-intelligent product is designed to work with the unique Knock key fob that allows opening only by authorised fob users. The unique method of operation requires the technician to contact their home base for their access code, which is usually texted to their cell phone. They enter the code into the knock key and place the fob against the padlock body. The designated knock pattern signals the padlock to unlock. Pictured next is the Knock key fob. This is the device used for operating all of the products in the Knock-N-Lock range. Simple to operate and totally secure. The fob uses a 10 digit keypad and an Enter button. The user contacts their control center who confirms their identity and proceeds to send their unique opening code to the user. One fob can be used to access multiple devices, so carrying one fob only minimizes the need for multiple devices. The fob is about 2-5/8" long x about 3/4" wide x about 1-3/4" thick, not much bigger than a typical automobile remote control. The increasing quantities of interested users of these fabulous new-age products has taken us by surprise. Other products in the range include hardwired safe locks, cabinet locks, Euro style key cylinders, Swiss style entrance sets and a unique wireless standalone deadbolt for versatile uses. More pictures to come in future posts here. Stay Tuned! We have talked about Knock-N-Lock a few times in the last year and we see this technology as the future in access control for the obvious reason. No keyhole or visible access. The Knock-N-Lock revolution is starting to blossom with more and more facilities converting to this unique access control technology that combines cutting edge technology with superior physical locking components to provide the ultimate in security and access control. Imagine being able to secure your entire office using one control key to operate the hidden keyhole that lets you in. Preventing burglars and stopping home invasions is the aim of the rapidly improving quality of wireless access control technology that can also benefit discerning homeowners wanting to lock out unwanted intruders while not alerting them as to your secret keyhole. 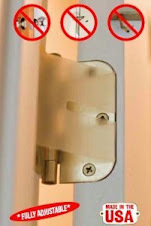 If you dont know that there is a lock on the door, how can you determine the easiest non-destructive method of entry? Masters Home Improvement Centers, the joint venture between Australian based Woolworths (supermarkets) and USA based Lowes Home Improvement Stores, announce the closing of their stores. According to a survey by Canstar who surveyed more than 2000 consumers, the quantity of complaints has proven insurmountable for the joint venture to succeed. 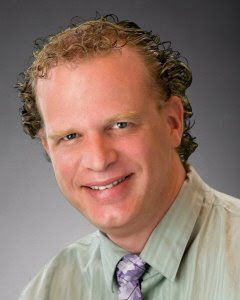 • Staff can be very vague about products and where they are in the store. • It is sometimes hard to find staff to help you in our local store. • Staff are not that helpful, can be hard to find things. • Mistakes at check-out with a mistake made on most visits. • Some of the staff in the gardening section need horticulture experience, especially to give advice about plants. • It can be hard to find staff for advice on hardware products. • Customer service is poor. Not as helpful or available as Bunnings. • Not enough staff in the late afternoon, evenings. • No staff to help you. • Couldn’t find a salesperson to help for ages. • It was difficult to find what I was looking for and no staff were available to help me, so I had to roam around until I found what I needed. • The staff there are not helpful. They are good at talking or consulting but don’t help to lift or move the goods I bought. They are so lazy. At last I have to move the BBQ and furniture I bought by myself. Nobody helped me. They gathered together talking and chatting. They are so lucky to get this kind of job. • Not a lot of assistance. • Checkout operator was not particularly friendly. • Trying to find a staff member to help took a very long time. • Some of supervisory staff are autocratic. • Was hard to find a staff member. • Staff service is very poor below standard. • Service can sometimes be slack. • Staff rude — don’t understand sizing. • Sometimes difficult to find a staff member. • Not enough floor staff help. • Have had a problem with click-and-collect once because staff couldn’t find the order. Would have been much quicker to find it myself in store. • Occasionally can be hard to find someone to help me. • Sometimes check-out service is not so good. • The item was delivered at 8pm at night after several phone calls to see where it was — put on the wrong truck. Bump keys have been in the news for a few years now and the increasing sales of our Bilock Extreme Security products attests to this. As pictured here, the Bilock New Generation core is truly the first 100% bump proof pin tumbler product of it's kind. Australian Lock Co PTY LTD are the manufacturer of this high security range of cylinders, expertly designed and produced to be able to fit in many leading brands of hardware. 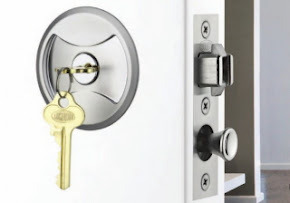 That means, if you currently have or own a Schlage, Marks, Corbin, Lockwood, Yale, Sargent and many other quality brands of hardware products, you can purchase Bilock cylinders that will fit into these brands. We offer a range of high quality LSDA brand deadbolts, knob sets, lever sets in ANSI/BHMA Grade 1, 2 and some 3 level quality. We choose LSDA because they are produced by an American lock and hardware distributor who offers up to 10 year warranties on many of their products and because the products are very well made. We install our own hand built Bilock cylinders within the hardware. 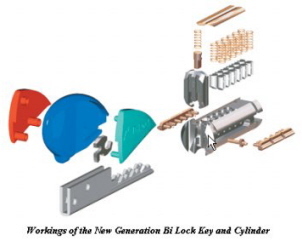 We build all our Bilock systems in-house using state-of-the-art computerised master keying technology. All cores are keyed up by hand, for quality assurance. All products are tested completely prior to leaving our workshop. We recently came across a video on Youtube that shows a fellow, presumably in Europe, who proceeds to bump open a typical high-security pin tumbler cylinder found there. He shows the actual working keys first, then shows the bump key he created on a 3D printer and bumps the cylinder in his hand multiple times. View the video after the break.